Below, you'll find just a small sample of testimonials and references that I have received from past clients over my career. I can provide hundreds more upon request. I consider the satisfaction of my clients to be my greatest achievement, and take pride in my high volume of repeat business and referrals. This high volume of repeat and referrals has also helped me to achieve numerous industry awards as a top achiever throughout my career without ever losing focus on the client's needs. You were great and very informative, very professional. Your time and effort were noted. Your internet work, video, pictures, etc, was most appropriate and second to none! Charles and Carole St Cyr. -Offering a Realtor with experience, professionalism and solid vision to sell our home. -Providing us with informational videos before listing. 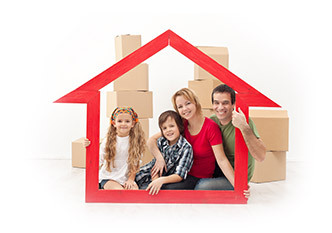 -Properly evaluating the fair market value of our home. -Producing an amazingly narrated professional internet video or our home. -Proadening our home's marketing exposure with multimedia approach. -Peeping our best interest at heart. -Peeping us updated throughout the process-providing after sales follow up. Al and his team were excellent throughout the home buying process but what really won me over was his after sale service. You can count on him during every stage of the game. Al was very accommodating as I have health issues and Al made sure all meetings were in my best interest. Al was extremely professional and went over every detail. We would use Al again without hesitation. Al instilled confidence to us in our situation and decisions. Your experience in the real estate profession made the sale of our house and the purchase of a new one easy and as stress free as possible. The YouTube presentation you created was excellent! Al and his team were outstanding! They kept me informed and assisted me in every facet of the sale. I was given good advice and it was obvious they were well informed in the marketplace. Al used his experience to get our house on the market in the right way at the right price and was always acting to maximize our value. Your calm and reassuring demeanour in the whole process made a somewhat stressful situation very bearable. Because of your experience, you saved us thousands of dollars. We would gladly recommend your services to any and all! 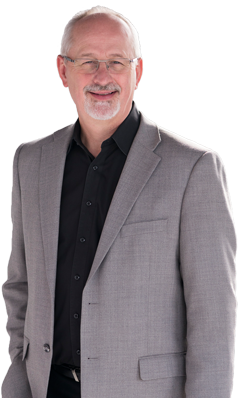 Al is a knowledgeable professional Realtor who listens to his client's needs. Thank you Al, for your open communication and for keeping our best interests at heart! Appraisal was very professional and detailed. Good advice on a number of issues including presentation, timing, and pricing. We feel the presentation on the website was effective, especially the video which was excellent. Could not improve on the experience! After 26 years this was like I was going through it for the first time. Thanks for making the transition and decisions easier and safe! Al is extremely knowledgeable and gave us the confidence we needed moving forward with the purchase. Al and his team far exceeded what I expected as a buyer. I really felt that they had my best interests in mind. We have used Al in the past and are very happy with the service he provides and highly recommend him. Probably the thing we appreciate most is the constant timely communication. There is no doubt in my mind that I would not have been able to achieve these remarkable results without the experience of Al Bernier and his REMAX team. We found you very professional, knowledgeable, NOT PUSHY, and felt you were working for us. Shopping for a home with 2 small children is not an easy task. Al was considerate of our family needs during the entire shopping/purchase process and worked around our schedule. Once the paperwork was signed, he still returned every single phone call in a timely fashion despite his busy schedule. Al Bernier has the right mix of professionalism, realistic-ness, and family-friendliness!! Just wanted to say THANK YOU for all your excellent work during my recent buy and sell. You and your team were wonderful to work with! Thank you for all the time and effort you put into helping us buy our house. Your commitment and advice made it an exciting and pleasant experience for us. Best Realtor I have ever had! I wouldn't have asked for anyone else! Thank you so much! 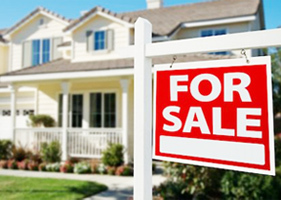 Selling a home is a huge undertaking. Al made it so much easier. His response to my numerous questions was prompt, never rushed. He was professional at all times, pleasant and understanding. I would not hesitate to recommend his services. Your professional and confident approach on how to market our home certainly eased our minds that we made the right decision. We honestly can't think of anything that you could have done to improve upon. Your YouTube video of our home was excellent too! Guaranteed professional service with outstanding results!